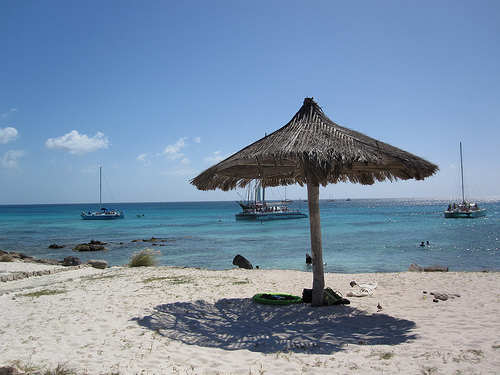 Located on the West Side of Aruba, Arashi Beach is known to be quiet and secluded, with excellent snorkeling, scuba diving and swimming opportunities. It does not offer facilities other than shade under the huts, so people have to go there prepared. The sand is mostly white and powdery, with a few pebbles scattered around, and the water is nice and clear. Malmok Beach is another West Side beach, with white sands and shallow waters that are suitable for snorkeling and scuba diving. 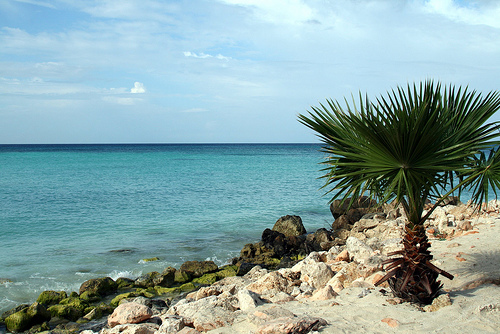 One nice swimming spot is Boca Catalina. There are no facilities at this beach. Eagle Beach is also on the West Side, offering a nice ground of white sand. 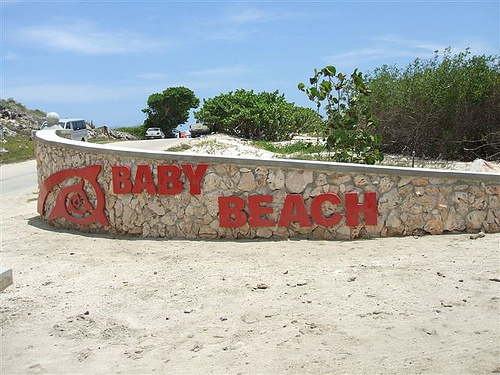 It is more developed than some of the other beaches in the area, and many people come here to have parties and other social gatherings. Consequently, Eagle Beach can get crowded. If you go a bit inland, you can watch the green parakeets flying around. 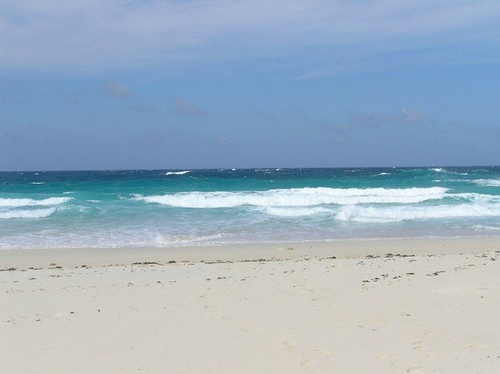 If you stay on the beach, there are picnic areas and opportunities for all water sports. Druif Beach is a seven-mile-stretch of white sand on the West Side. 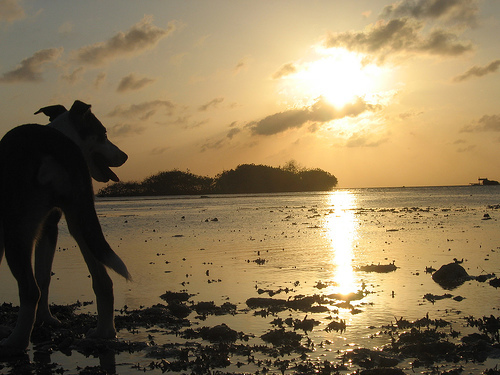 The waters are calm and suitable for swimming, and the beach is nice for sunbathing. 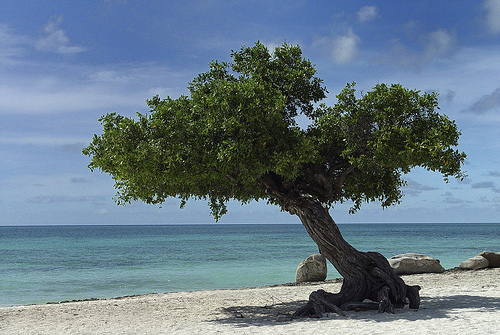 Dos Playa is situated on the East Side of Aruba, and is a white beach with a rocky coastline. Due to its waves, it is the place for experienced people to go surfing. Swimming is not encouraged, because it can be dangerous. 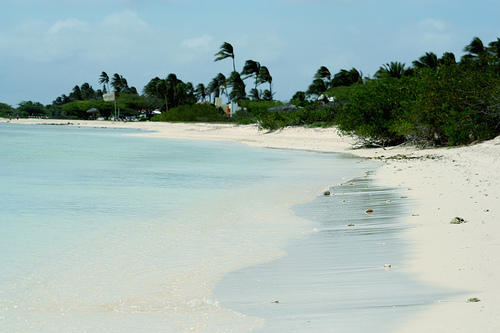 Mangel Halto is another East Side beach of Aruba, which has shallow water and white, powdery sand. For those who like to stay on land, it is a nice place for picnics. For those who like the water, there are scuba diving opportunities in the reef. Baby Beach is located at the tip of the East Side of the island, the opposite end from where the cruise ships dock, so it’s a great place to go if you want to get away from such crowds. It is a wonderful place for snorkeling in the turquoise waters, though some of the corals have taken a toll in recent years from hurricanes. There is some shade and other facilities available on the land.